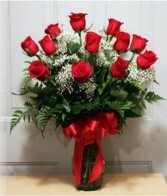 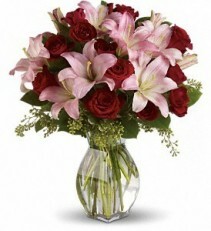 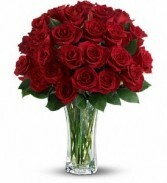 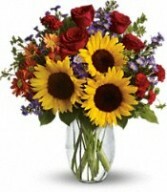 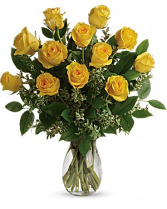 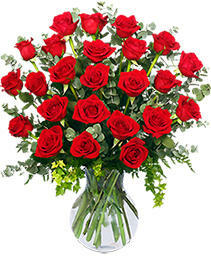 Rose Garden Florist Delivers Roses Same Day To The One You Love. 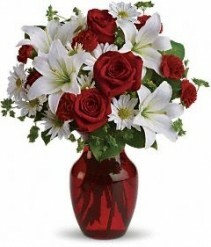 This red vase is filled with white lilies, red roses, white daisies, and red mini carnations. A perfect way to add some romance to someones day! 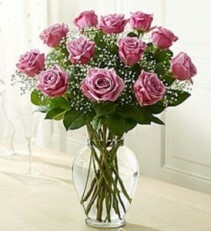 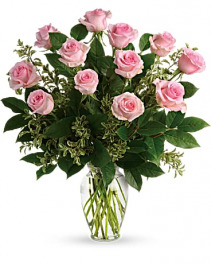 Say it sweeter with this feminine bouquet of a dozen ballet pink roses and lush greens in a graceful glass vase. 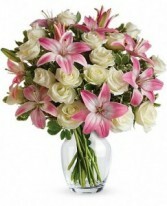 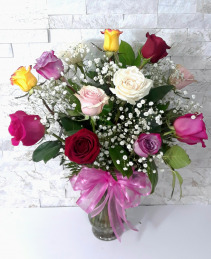 12, 24, or 36 pink roses are arranged with pitta negra and lemon leaf. Delivered in a clear glass vase. 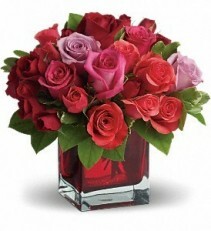 This sparkling glass vase is filled with not one, but two dozen gorgeous red roses ! 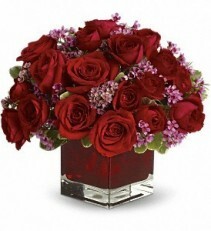 Your special someone deserves to be treated like royalty. 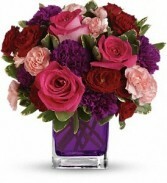 Put the crowning touch on their day with our hand-designed arrangement of 12, 18 or 24 gorgeous long-stem purple roses, gathered in a classic vase.